Shopping for a new Alfa Romeo Giulia? Apple CarPlay and Android Auto are new to the 2018 Alfa Romeo Giulia and their compatibility is worth the modest price increase over last year's model. The 2018 Alfa Romeo Giulia presents plenty of compelling reasons to jump ship from the “default” sports sedan brands. 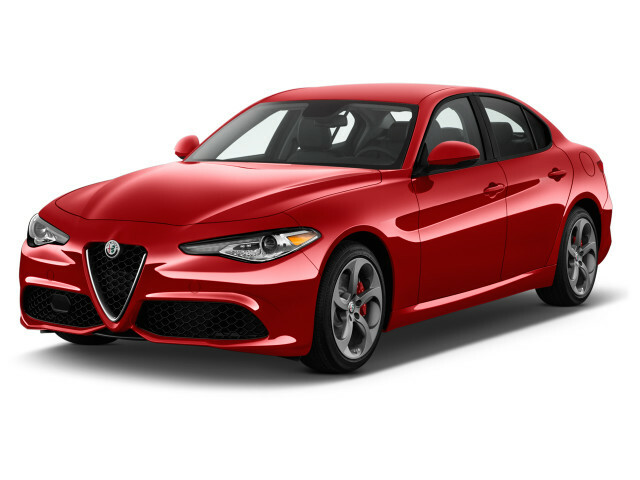 The 2018 Alfa Romeo Giulia is a luxury four-door sedan with verve. It wasn't the overnight success that Alfa Romeo needed, but it's an adept performer that enthusiasts wanted. The 2018 Giulia comes in three trim levels—base, Ti, and fire-breathing, Ferrari-powered (well, basically) Quadrifoglio. That last model, aimed at stalwarts like the BMW M3 and Mercedes-AMG C63, channels Alfa Romeo’s past; its name means “four-leaf clover” and it’s an homage to Alfa’s racing history. This year, the Giulia gets Apple CarPlay and Android Auto, correcting a major deficit from last year. 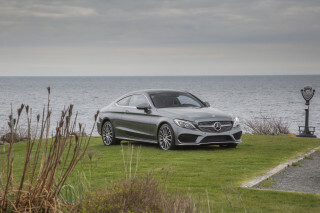 A Harman Kardon audio system and an 8.8-inch infotainment screen are now standard on most variants and the automaker has seen fit to shuffle around some optional equipment. All but the Quadrifoglio are powered by a 2.0-liter turbo-4 rated at a hefty 280 horsepower. An 8-speed automatic is standard and all-wheel drive—which Alfa calls Q4—is optional at every level. 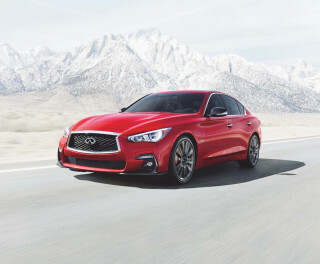 The standard suspension is a reasonably plush compromise between sport sedan zip and everyday comfort, while the optional sport setup is firmer without being too stiff. The Giulia Quadrifoglio is a breath of fresh air against staid German rivals. Its twin-turbo 2.9-liter V-6 is full of bravado, not to mention 505 hp routed rearward via an 8-speed automatic. Underneath, an active suspension setup renders the Quadrifoglio perfectly comfortable as a daily driver or, at the twist of a drive mode knob, ready to attack a road coarse. All versions of the Giulia have quick, meaty steering that delivers an almost unfiltered feel of the road below—a genuine rarity and one that means the Giulia should be on any enthusiast’s shopping list. 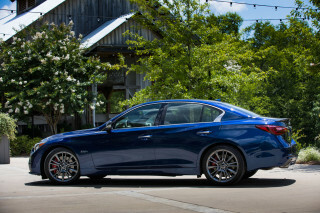 Giulias start a hair under $40,000, which makes them a pretty good value on paper given the power they put out and a standard feature count that includes leather upholstery, HID headlights, and power front seats with driver’s side memory. Although the Giulia hasn’t yet been subjected to a full battery of crash tests, it is available with the latest safety tech like automatic emergency braking. With its driver-centric interior and curvaceous exterior, the 2018 Alfa Romeo Giulia is shapely and original. Styling is one of the 2018 Alfa Romeo Giulia’s fortes, so we’ve given it two points for the way designers have penned an exterior that stands out from the crowd and we narrowly award another for its stark, but clean interior. Even the base Giulia is a looker with its 17-inch wheels and curvy shape. Despite the way Alfa Romeo has rounded off what others would finish with angles, the Giulia doesn’t feel overwrought or too voluptuous, as if that were a thing. Up front, its signature shield grille is well integrated and is flanked by standard HID or optional LED headlights that aren’t excessively busy in their execution. At the rear, the Giulia’s narrow taillights aren’t so different from what we’ve seen on other cars, yet they look so much better here. The Sport Package that’s optional with the 2.0-liter engine has its own exterior appearance plus some different finishes inside. Alfa offers numerous wheel sizes, designs, and finishes, and we don’t think there’s an ugly one in the bunch. Building on the Sport Package, the Giulia Quadrifoglio is far more sinister, especially from the rear, where its quad chrome tailpipes remind everyone behind of its intentions. Inside, the Giulia isn’t quite as special, even when outfitted with optional nappa leather and one of several trim finishes—a few woods, aluminum, and even carbon fiber. The Giulia’s dash is all business in a way that’s almost more BMW than it is Alfa, yet most controls are arrayed about where we’d expect to find them. That’s a big improvement over the last compact sedan Alfa sold here–the Milano, which had window switches located on its headliner. For real. Hints of Ferrari DNA give the 2018 Alfa Romeo Giulia a decidedly sporting character, but it’s docile around town as well. This is why you’re shopping for the 2018 Alfa Romeo Giulia: it’s a sports car with four-door practicality. We’ve found as much to love in a base Giulia as we have in the full-zoot Giulia Quadrifoglio with its fire-breathing, Ferrari-derived twin-turbo V-6. But let’s not jump ahead of ourselves. The 2.0-liter turbo-4 that’s on Giulia and Giulia Ti sedans rates at a solid 280 horsepower and 306 pound-feet of torque, the latter of which comes on at a reasonable 2,000 rpm. 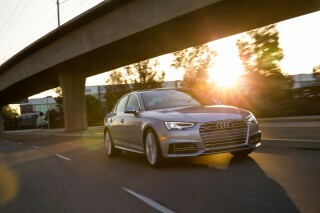 An 8-speed automatic sends power either rearward or, optionally, to all four corners. 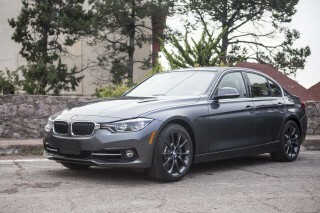 This engine is quiet at idle and torquey, if not quite as smooth in its operation as BMW’s inline-4. But BMW can’t touch the Alfa’s power and it shows. The Alfa is plenty fast and always has grunt in reserve. Brembo four-piston front brakes are standard on Giulia and Ti and they’re strong and easy to modulate, albeit with a slightly disconnected feel. The real delight here is the Giulia’s tiller, though. The thick-rimmed steering wheel is a delight to hold, but that’s not a stand-out against rivals. What matters is communication from the road, which is where the Giulia reminds us of BMWs from decades gone by. Only the Jaguar XE comes close, albeit with a more sedate manner than the borderline manic Giulia. If anything, we wish that the Giulia’s drive mode selector would allow us to dial back on-center steering response just a hair for lazy mild traffic driving. The Giulia Quadrifoglio is an entirely different beast, as its heritage-inspired four-leaf clover fender badges suggest. If you’re a student of automotive history, you’ll know that similar badges adorned Alfa racing cars campaigned by Enzo Ferrari. The Giulia Quadrifolgio’s heart is a 2.9-liter twin-turbo V-6 derived from a Ferrari design. It’s as sonorous as you’d expect, revving willingly toward its 6,500 rpm redline. And you’ll need to rev it, since the 505 hp peak figure comes exactly at redline. However, all 443 lb-ft of torque comes on at a more reasonable 2,500 rpm. The Quadrifoglio is only available in the U.S. with a beefed-up version of the 8-speed automatic, where it’s paired to beautiful paddle shifters. Around town, you’ll want to select the Natural mode, where the V-6 can still be a little high-strung and jerky from launch. The steering is even quicker here than in the regular Giulia, meaning you’ll have to rethink the way you turn the wheel to avoid a twitchiness. The ride itself is firm, but not so stiff that it’ll jiggle your kidneys. Select Dynamic or Race modes and the Quadrifoglio becomes different altogether. The engine revs rapidly and as accompanied by a wonderful growl. The ride is stiffer here, but not punishing. The Quadrifoglio hunkers down in hard cornering and reacts with what we’d call clairvoyance to the driver’s inputs, although some of drivers think that the heavy on-center steering and wide tires make the car bump-steer a little too much. Both on road and on the track, the Giulia handles with a neutral character. It’s possible to overdrive into a corner and the car will wash out rather than rotate, but the sticky 19-inch rubber means it’s hard to loosen things up too much. 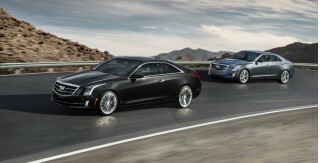 A more controlled entry speed helps the sedan rotate gently and stay flat. Goose the throttle a bit and the rear end kicks out—keep things going and you’ll be in a glorious drift. Enzo would be happy with this one. The 2018 Alfa Romeo Giulia is a driver’s car, so it doesn’t really pamper passengers or cargo with lots of space. It’s clear where engineers devoted their attention when it comes to the 2018 Alfa Romeo Giulia: the driving experience. 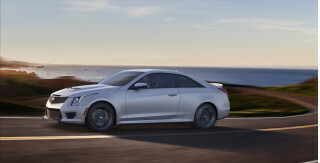 As a result, front seat passengers have a great view out from well-bolstered seats, but the rear is a bit tight and the trunk is nothing to write home about. Accordingly, we’ve added points for the Giulia’s front seat and for its high-end materials, but we’ve dialed back one for a rear seat that’s both hard to access and not all that roomy once you’re there. The Giulia’s front seats feature 10-way power adjustment as standard, including memory for the driver’s seat. They’re also wrapped in decent leather with higher-grade nappa on the options list for the Ti and standard for the Quadrifoglio. Sports seats are optional on the Giulia Ti and and an even more aggressive set designed by Sparco and crafted from carbon fiber can be had on the Quadrifoglio. Alfa paid close attention to most of the Giulia’s interior with soft-touch materials covering the entire door and dash panels where some rivals substitute chintzy hard plastics. Several trim finishes are also available inside. The Giulia’s trunk measures about 12 cubic feet, which is below the class average. Additionally, a small opening means that larger items will need to find another vehicle. The 2018 Alfa Romeo Giulia has not yet been fully crash tested, but it is available with a wide range of safety tech. The Giulia comes standard with anti-lock brakes, a rearview camera, rear park assist, and stability control, plus eight airbags including knee airbags for both front-seat occupants. Advanced safety tech is all bundled into packages; just how features are grouped depends on the trim level, but we applaud Alfa for making the most important tech available on every Giulia. Starting with the base Giulia, the Driver Assistance Static package adds front park assist, blind-spot monitors, rear cross-path detection, and auto-dimming exterior mirrors. From there, the Driver Assistance Dynamic Plus Package adds adaptive cruise control, automatic emergency braking, lane departure warnings, and automatic high-beam headlights. Those same packages are available on the Giulia Ti, although front park assist is standard there. The Giulia Quadrifoglio comes standard with blind-spot monitors, forward collision warnings, and auto-dimming exterior mirrors, so its only safety options are bundled in a pared-down Driver Assistance Dynamic Plus Package. On the Quadrifoglio, that extra-cost package adds adaptive cruise control, automatic emergency braking, lane departure warnings, and automatic high-beam headlights. The IIHS says that the Giulia's crash structure is solid and that, when fitted with optional automatic emergency braking and automatic high-beam adaptive headlights, it's a Top Safety Pick. Skip out on those options and the Giulia's still plenty safe, says the IIHS, but those safety features are worth the extra coin. You’ll want to spend some time configuring your perfect 2018 Alfa Romeo Giulia; many options allow for a wide degree of customization. The base Giulia comes with the expected power features as well as some surprises like power-adjustable front seats with memory for the driver, leather upholstery, HID headlights, and dual-zone automatic climate control. Options include an 8.8-inch infotainment screen and Apple CarPlay/Android Auto compatibility, 18-inch alloy wheels, and a moonroof. Several option packages allow for further customization. 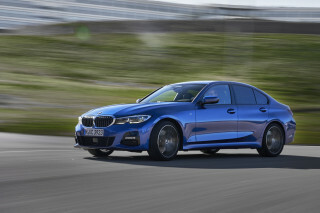 Notable ones include a cold weather group with heated seats and a heated steering wheel, a Harman Kardon audio group with 14 speakers, and the Sport Package that has its own styling add-ons and suspension tuning. On the safety front, automatic emergency braking, adaptive cruise control, and lane-departure warnings are packaged together in the Driver Assistance Dynamic Plus package. The Giulia Ti piles on a few goodies like the 8.8-inch infotainment system and 18-inch alloy wheels and it’s also available with a full integrated navigation system, its own Sport Package with 19-inch alloy wheels and more aggressive seats, and a Lusso package with upgraded leather and a choice of two wood interior trims. An adaptive suspension and mechanical limited-slip differential are optional on the Ti as is a full-leather interior that covers the dash and doors in real hides. All-wheel drive is optional on all 2.0-liter Giulias. 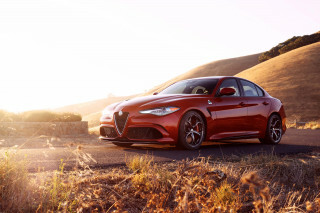 The Giulia Quadrifoglio stands on its own with numerous mechanical upgrades like the 2.9-liter V-6, a much different suspension, and unique exterior styling. Options are limited to a few different wheel finishes, carbon ceramic brakes, and Sparco-designed race-style seats made from carbon fiber. The Sparco seats are comfy, but not for every body. Try before you buy. Kudos to Alfa for making numerous interior and exterior paint combinations available—including Stromboli Gray, which we’re told is named after the volcanic island and not the dish. Given its power outputs, the 2018 Alfa Romeo Giulia is reasonably fuel efficient. The 2018 Alfa Romeo Giulia offers reasonably good fuel economy given its impressive standard and optional engines. With standard rear-wheel drive, the Giulia is rated at 24 mpg city, 33 highway, 27 combined. Opt for all-wheel drive and those figures slide to 23/31/26 mpg. The ferocious Giulia Quadrifoglio is rated at 17/24/20 mpg, which isn’t bad for more than 500 hp. All versions of the Giulia have a stop/start system and are rated for premium unleaded fuel. Looking for a different year of the Alfa Romeo Giulia?